Effective engagement with Parents and Carers at Normanby Primary; the Head teachers view. In 2016 I judged that our school was ready for an external assessment of its work to engage effectively with Parents and Carers. The resulting commentary is shared below, and presents an accurate assessment of our work. The Report led us to being awarded a ‘Leading Parent Partnership Award’. A copy of the full report is available in school, or to download as required. Involvement and commitment of all the school’s stakeholders shown through the amount of initial and consistent updating information on the LPPA process. Use of the relevant proformas where deemed necessary to support the Objectives. Information to show how parents are provided with guidance to enable them to support their children’s learning and development as well as support for their own learning. Informative curriculum guidance provided to parents in various forms both paper based and electronic. How the school involves parents in all aspects of celebration across the setting. 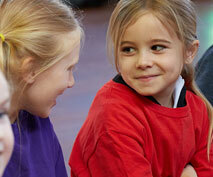 Various methods of consultation strategies together with supportive guidance and parent friendly policies. Feedback provided to stakeholders following evaluations regarding all objectives using various media including the Feelgood Friday weekly newsletter. There is a whole school approach to parental engagement at Normanby Primary School. 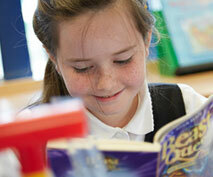 The vision for the school is demonstrated through the strong commitment of the Headteacher, all staff and governors. The school values the unique insights that parents can provide into their children’s learning and models effectively the fact that parental engagement cannot just be a bolt on but is integral to the school improvement and development planning processes. Parents are invited in to share their stories as part of “About Me” sessions. The tour showed the school as a welcoming environment with quality displays of children’s work throughout. There are notice boards around the site at relevant locations displaying information for parents. 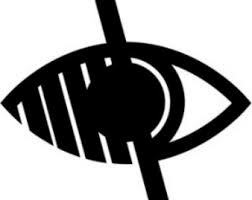 Every opportunity to share information is used through various forms of media. 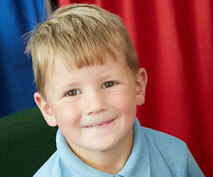 The school offers holistic support to parents and families. In practice early intervention services are present on the school site including social care and health visiting support. This work is integral to promoting the development of parental engagement practices and relationship building. Communication is excellent. Examples of the effective communication methods were viewed within the portfolios and on the school tour. It was apparent that the school listens to parents and uses their views effectively. Social media is being used as appropriate and these systems will develop in line with need and to show how the school acts upon parental feedback. Information is provided to parents enabling them to support their children to learn both at home and in school. Sessions are held for parents and these have been delivered to provide maximum accessibility in terms of timings. Information is always provided for those parents who cannot attend. Excellent induction and transition information is available to parents in partnership with local schools. Various sessions are facilitated on the school site and also through home visiting at key transition points throughout the year to enhance the importance of parental involvement and to development home school relationships. There are close links with neighbouring schools and all avenues are explored to work in partnership with external agencies in order to provide appropriate support to families and pupils. The LPPA has supported the school to recognise the importance of evaluation and feedback to parents in relation to all Objectives. This has been an area that the school has developed throughout the Award process and will continue to embed. Parents felt welcome when visiting school and also contacting with any queries. They saw the school as an open accessible and welcoming environment that supported them with information and feedback received both in person and through various media systems. The school provides opportunities for parents to work with their children to develop strategies for learning and development. 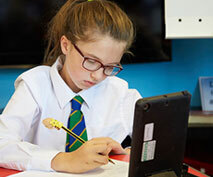 All opportunities are enhanced by the provision of information booklets to take away from the sessions or provision of information on the school website. 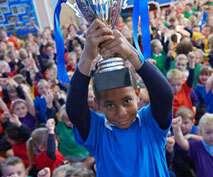 There are many opportunities for parents to join in and share celebrations and achievements. Although space is sometimes an issue the opportunities will continue. “Marvellous Me” was definitely a positive information sharing app identified by all stakeholders spoken to at the Final Verification where real time information can be shared. Information is always sent out to parents to provide advance notice of events. Support on this element of information sharing is enhanced through the links provided on the school report highlighting upcoming curriculum information. Pupils were knowledgeable about the ways that school provided support to parents.They thought that their parents would describe the school as helpful and consistent. Develop key areas of success highlighted throughout the LPPA period and to look for innovative ways to develop partnerships and provision for parents in line with changing needs. Develop the systematic evaluation process enhanced by the LPPA as a planning and development tool to ensure effective feedback across the setting. Use the “We Asked You Said We Did” principle and provide information to parents using relevant media. It may also be useful to revisit the pro-forma and guidance notes documentation and use this as required to support monitoring, evaluation and feedback. Share best practice across the cluster of schools that have undertaken LPPA together and also to spread this across the Trust. The school was awarded the LPPA for a period of three years.